If there’s one thing which is constantly perching on the shoulder of every person on the planet, it’s anxiety. Whether we like it or not, anxiety is our constant companion, and it has a hand in every single thing we do, every single day. The thing about anxiety is, no matter how healthy you are physically, you are still far from being holistically healthy if your mind isn’t in tune with your body. Anxiety is a mental state of mind that shades how you view the world. In this way, it impacts all the things you do and strive to achieve. Until you begin to practice mindfulness in your life (more on that later), you probably won’t realize just how entrenched this emotion is in your decisions and general quality of life. And this is not a matter to be taken lightly. Anxiety is one of the most common forms of mental illness in America. It afflicts an estimated 18 percent of the adult population, according to the Anxiety and Depression Association of America (ADAA). The ADAA also states that anxiety disorders cost the United States more than $42 billion every year. This accounts for a whole third of the country’s total mental health bill. With something so prevalent in our society, it is perhaps no great surprise to learn that the pharmaceutical companies have been cashing in on this common disorder. Big time. And while many people can’t resist the lure of the supposed “quick fix” that these prescription meds offer, it’s certainly not the long-term solution you’ve been searching for. And besides, many common anxiety medications come with a whole host of wide-ranging side effects. These can often make you worse off than when you were just suffering from plain old anxiety. For this reason, millions of people are seeking out alternative treatments to fix anxiety naturally. Many of these treatments have proven to alleviate the symptoms, and even the causes, of anxiety. They also provide solutions without the nasty side effects of drugs. Here are 12 ways to fix your anxiety — naturally. Lavender has long been recognized for its potent medicinal powers, whether in its essential oil form or simply as a dried herb. Not only can lavender help to improve your sleep, alleviate headaches, relieve burns and cuts and ease stomach pain, it has also been scientifically proven to help against stress and anxiety. A study published in the Journal of Psychiatry and Clinical Practice found that supplementing with 80-milligram capsules of lavender essential oil lowered stress, anxiety, depression and a range of other “negative” emotions and moods. Not only that, researchers showed that these benefits were experienced without any adverse side effects. Another study compared lavender to a common prescription anti-anxiety drug. Researchers found that lavender was more effective than the drug at lowering anxiety on a daily basis. Yup, plain old dirt may just be one of your best ways to get rid of that pesky anxiety. 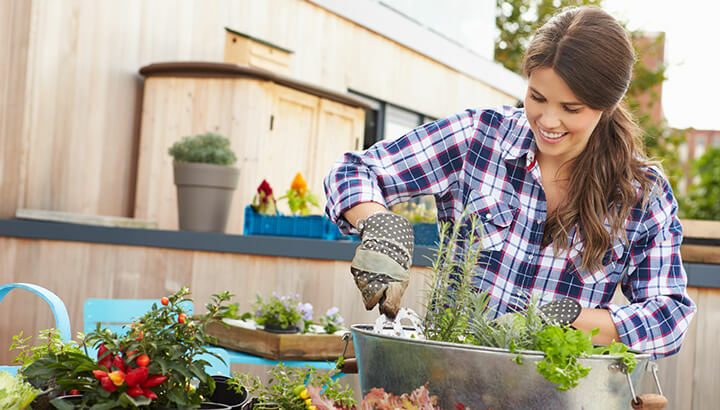 Most people experience an elevated sense of self and a stress-lowering effect when gardening or working with their hands in the outdoors. Some of this effect is likely due to the stress-alleviating effect of simply getting outside. But scientists have also found that there is actually a specific species of bacteria found in soil which can lower anxiety and improve your mood. This bacteria, Mycobacterium vaccae, helps to release serotonin (a lack of which is associated with depression and anxiety) when it comes into contact with your skin. So, more dirt — provided it’s organic — may mean a happier you! 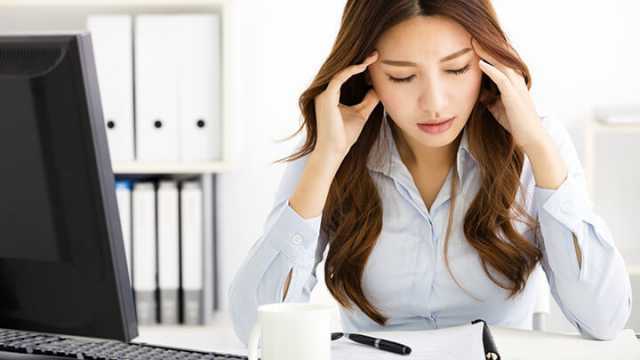 This particular natural anxiety fix may be a little too “racy” for some, but research shows that it may be an important ally in the fight against stress, anxiety and even cancer. Psilocybin, the active ingredient in “magic” mushrooms, has been shown by several studies to reduce emotional distress and lower anxiety in patients. Unfortunately, it might be a while before we see this particular natural remedy on the shelves. It remains a banned substance in the United States. Frankincense is second only to lavender as an essential oil that is dynamite against anxiety. The calming effect of frankincense essential oil is thought to occur due to its incensole acetate content. A 2008 study suggested that this compound could lower both anxiety and depression. Whatever the reason, diffusing some frankincense essential oil when you’re feeling low or stressed may go a long way towards balancing your emotions and calming your anxious mind. Many people know that a warm cup of chamomile tea in the evening can promote a feeling of calmness and make getting to sleep a whole lot easier. That’s because chamomile contains compounds which enable it to fix anxiety naturally. It also has a wonderful mellow flavor, making it a great late-night beverage. Social media platforms like Facebook may seem relatively harmless on the surface. But studies show that social media can be harmful as well as helpful. Many people become ensnared in the ongoing competition for friendship and popularity that is the guiding force behind Facebook and other social platforms. This allows it to increase our levels of anxiety, fuel depression and generally just add a whole lot more stress into our lives. Taking a break from Facebook every now and then can make a big difference to your anxiety level. 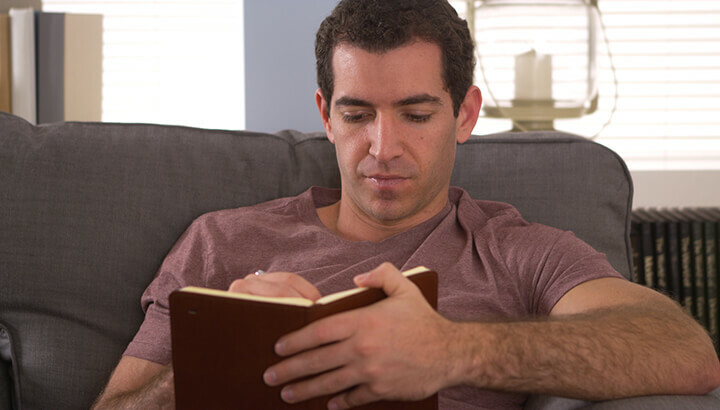 It may seem a little too simple to be true, but simply writing your worries down on a piece of paper can help to lower your levels of anxiety. The physical act of committing your worries, concerns or plans to paper helps to transfer them from your mind into the physical world. Here, they still exist, but they exist outside of your head and stop nagging you. One of the best things you can do is to leave a pen and pad on your bedside table. You can roll over and scribble thoughts down if you’re lying there struggling to sleep at night. Green tea contains an amino acid called L-theanine. Research has shown that it not only reduces levels of anxiety in the brain, but also lowers heart rate and regulate blood pressure. A 2011 study published in the Journal of Functional Foods found that patients with anxiety issues were calmer and more focused if they supplemented with 200 milligrams of L-theanine prior to a test. Not only does lemon balm smell amazing, that rich aroma is just the start of this potent herb’s healing capacity. Lemon balm has been used for hundreds of years to alleviate stress and anxiety, while helping to achieve a faster, deeper sleep. And modern science agrees. A 2004 study published in the Journal of Psychosomatic Medicine found that patients supplementing with 600 milligrams of lemon balm extract reduced negative mood effects. It significantly increasing feelings of calmness and reducing feelings of anxiety. Come on, you didn’t think you were going to fix your anxiety by just sitting in front of the TV sipping herbal teas did you? If you’re dealing with anxiety issues, it’s official: you need to get outside. And one of the best ways to do that is to exercise, in any shape or form. Head out for a run along the waterfront, a bike through the park, a swim in your local pool at the beach or simply a casual stroll through town on a sunny afternoon. Exercise releases dopamine, a “pleasure hormone” which leaves you feeling amazing. In the process, it expels all that pent-up anxiety and stress. Oh, and your body looks better when you exercise, just in case you needed more motivation! You were probably expecting this one to be in here somewhere. There’s absolutely no doubt that meditation is one of the most effective natural fixes for anxiety. In fact, meditation is designed for just that purpose. Practicing just 10 minutes of guided meditation every day will make a huge difference to lowering your levels of stress. It will help and release all that nagging anxiety that’s been plaguing you all this time. And if you do it just before bed, you’ll find yourself calmer and much more able to slip into an effortless deep sleep. Whether it’s the exercise component that gets you feeling great, or controlled breathing aspect, yoga is anxiety’s worst nightmare. 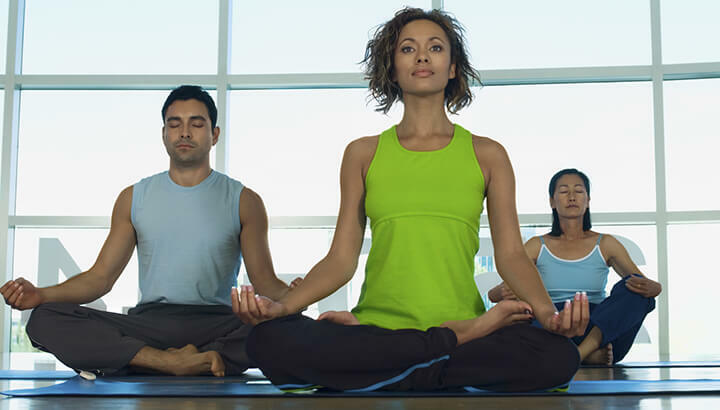 Multiple studies show that practicing yoga on a regular basis can help to lower stress and anxiety, increase quality of life and improve mental health. Not a bad trade-off for some gentle stretching and a bit of deep breathing. What’s your favorite way to beat anxiety? Is it kicking back with a good book or taking a stroll through your favorite inner-city park? We’d love to hear from you! Hey Buddy!, I found this information for you: "12 Really Good Ways To Fix Anxiety Without Drugs". Here is the website link: https://www.thealternativedaily.com/ways-to-fix-anxiety-naturally/. Thank you.